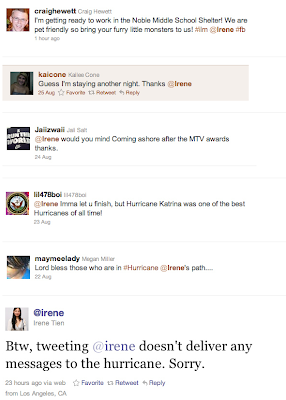 I feel sorry for @irene. It's cool that she has a Twitter handle that matches her first name. 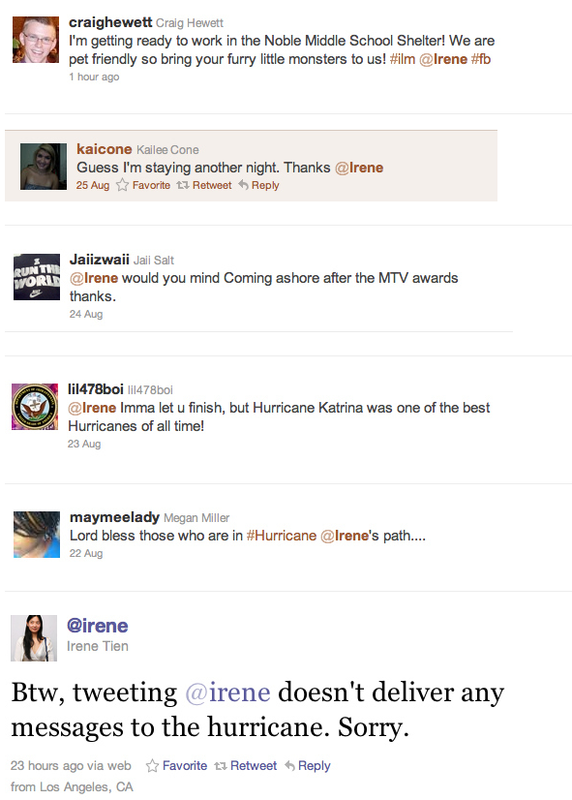 Right now, though, people like me are blogging and tweeting using her name in reference to the hurricane. I thought it might be interesting to see what all this attention will do to @irene's social metrics. 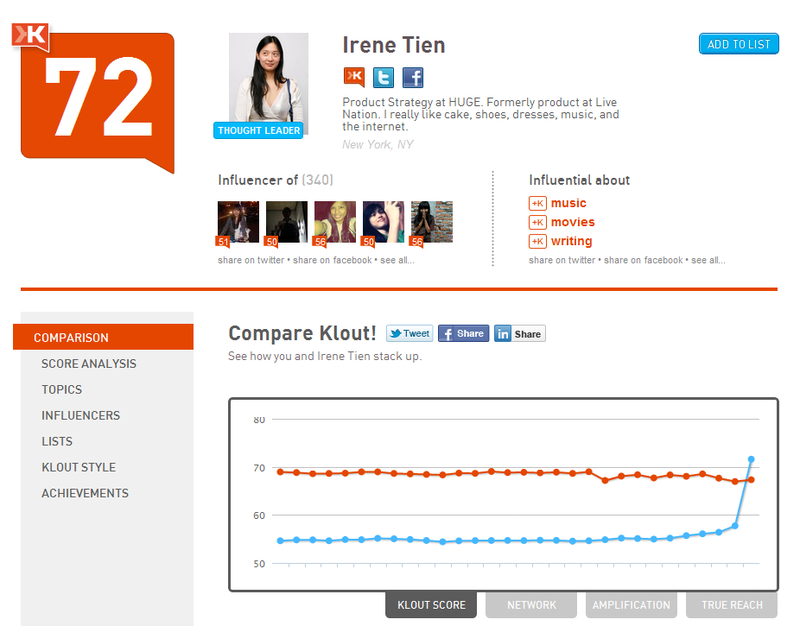 I logged into Klout so I could access her Klout over time graph. Irene's the blue line. No prizes for working out when the world started tweeting about her.